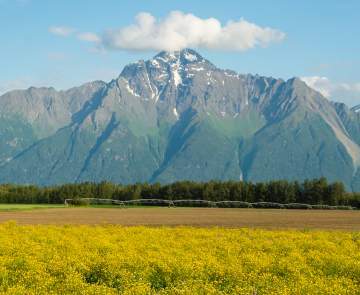 The history of the Mat-Su Valley is long standing. Below are the histories on each of the four major areas of the Valley. between the Cook Inlet region into the Copper River Area. Around 1880, George Palmer established a trading station on the Matanuska River. Miners returning from the 1913 Nelchina gold stampede were among the first to settle here. Coal mines near Sutton and Chickaloon and the gold mines in Hatcher Pass fueled growth in the early years. In 1935, during the Great Depression, President Roosevelt sanctioned a relocation program that brought 202 farming families to Palmer. Parcels of land were distributed to the "Colonists" by lottery. The Dena'ina Indians called this area Benteh, meaning "among the lakes." Although much has changed over the years, Wasilla is still surrounded by beautiful lakes, including Lake Lucille and Wasilla Lake. 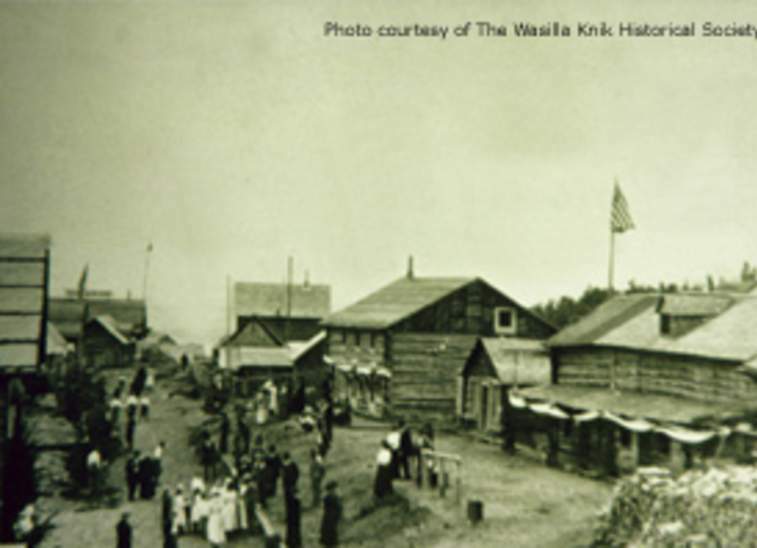 The history of Wasilla really begins with the history of Knik, the first boom town in the Mat-Su Valley which, by 1915, boasted a population of 500. The town served the early trappers and miners working the gold fields at Cache Creek and Willow Creek. Wasilla was established in 1917 with the construction of the Alaska Railroad. Wasilla's proximity to the gold fields and railroad service lured Knik residents to relocate in the new town-some of them even dragging their homes and businesses with them. In a few short years, Knik became a ghost town. Talkeetna means "River of Plenty" in the Dena'ina Indian language. Located at the confluence of three major rivers, the Susitna, the Talkeetna and the Chulitna River, Talkeetna offered an abundant harvest for the Dena'ina Indians who hunted and fished this area for centuries. In the late 1890s, a trading station was located along the riverfront to supply trappers and miners. A townsite was established during construction of the Alaska Railroad. Talkeetna became the supply point for the gold fields in the Yentna Mining District and winter home for many of the miners. 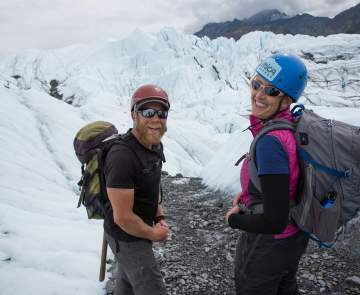 In the present day, Talkeetna is the staging area for approximately 1,000 climbers each year who attempt to reach the summit of Mt. McKinley (standing at 20,320 feet). During pre-European times, Athabaskan Indians traveled remote regions in the Mat-Su Valley by foot, dog sled and boat between hunting and fishing camps and more permanent winter villages. In 1818, a Russian expedition explored the Susitna River, but it wasn't until the late 1800s that non-native explorers traveled deep into the wilderness. The search for gold brought prospectors and the gold they discovered brought miners, traders, freighters to support the mines.